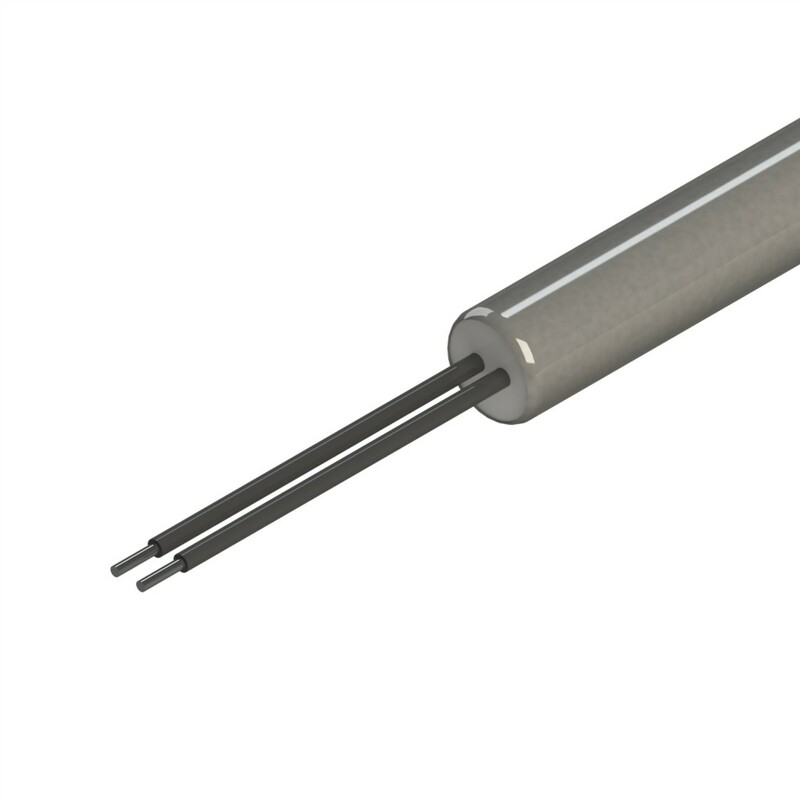 This cartridge heater has Swaged in Teflon® leads with a Teflon end seal. The leads exit straight at the end, and offer optimum resistance to moisture including liquid contaminates and humidity. This cartridge heater design offers better lead moisture protection than that of fiberglass leads. This Cartridge heater can be combined with other lead styles like Stainless Steel braids, or Right Angles. This cartridge heater is rated to 250° C.